Can be used to hang pictures, mirrors and artwork up to 100 lb. in weight. The hangers are made of brass plated steel for strength and durability. Ideal for sheet rock and plaster walls. OOK All Wall Picture Hanger 100 lb. Kit includes 17 pieces that help you securely hang heavy objects. Easy to use, this versatile kit is great for use on concrete, brick, plastic and sheetrock walls. 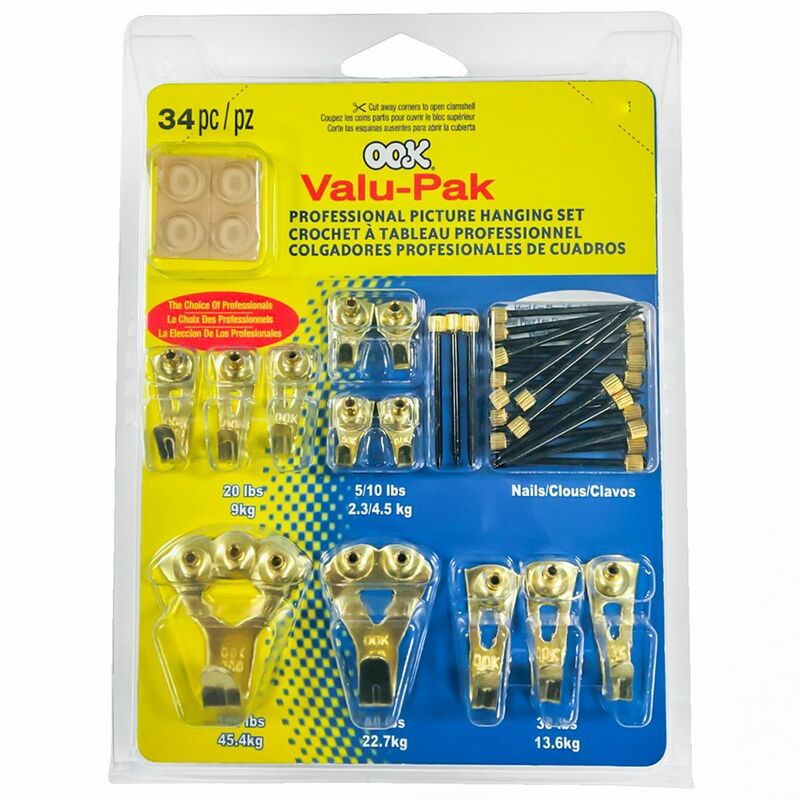 Ook Valu-Pack Pro Picture Hangers is rated 3.7 out of 5 by 3.